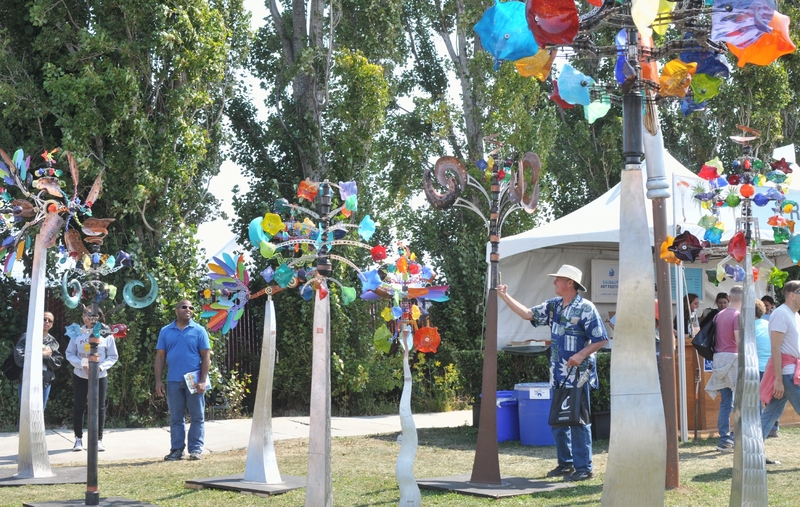 An exhibit of garden sculptures were set on the lawn, where they were allowed to interact with the wind. Each one was unique and each had a different mode of movement. Even the sign was a work of art. 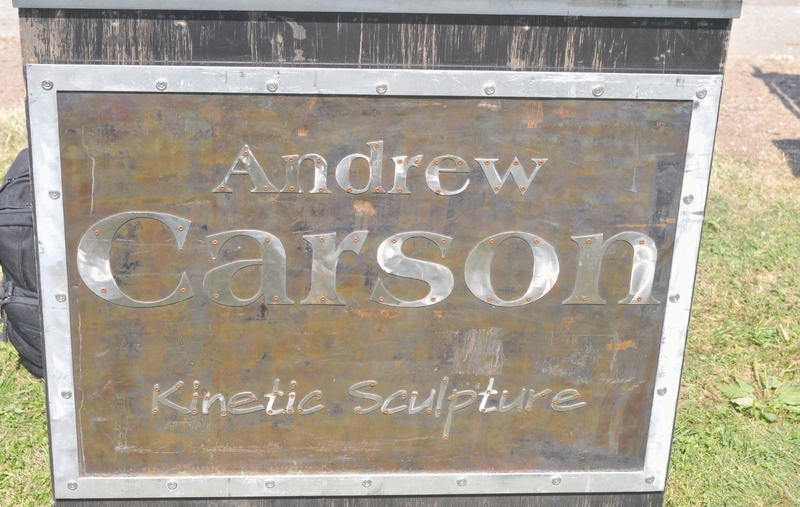 It read, "Andrew Carson Kinetic Sculpture." A brief video showing the sculptures in movement on that breezy morning. Any one of these sculptures would make an exquisite addition to anyone's garden.